Below is the CSIA information on the new Education Credits Program launched for the 2013/14 Season for CSIA Level 2 and 2014/15 Season for CSIA Level 3. Moving forward, Education Credits will remain in place. 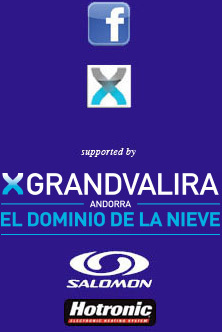 If you are taking a CSIA Level 2 or a CSIA Level 3 in Andorra, then your Course dates will incorporate the appropriate content and training in Education Credits for you to achieve full qualification status (if you are successful in your Course). The Education Credits concept marks a historic change to the CSIA's education system. In recent years, continuing education has become more and more important to instructors and snow schools alike. Now, our members' participation to numerous programs is being valued through the attribution of Education Credits. These credits are being tracked on your personal page, under the Pathway tab. Credits are accumulated into a grand total, which can only increase. At no time will you be required to trade or "sell" credits. 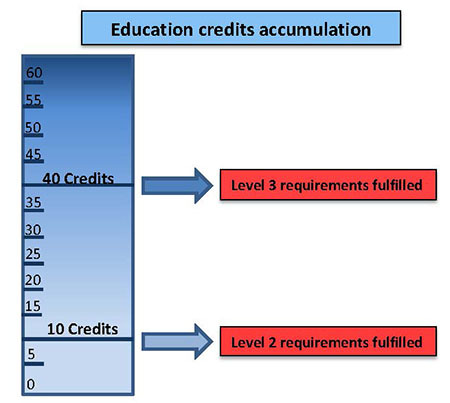 Pertaining to certification, specific numbers of credits serve as eligibility milestones. Reach 10 credits to fulfill the Level 2 requirements. Reach 40 credits to fulfill the Level 3 requirements. Level 4 will also transition to a credit-based structure in the future.